Many African American researchers struggle to break through the brick wall of slavery. 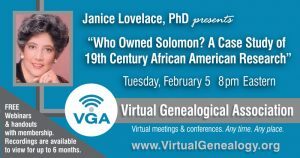 This presentation looks at techniques to identify slave-owners through the use of land, probate and court records. How did your family get from Europe to the Prairies? Why did your ancestors migrate through Canada? 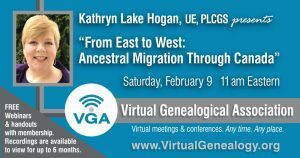 What clues can be found in records to track your ancestor's migration? Why did so many Quebeckers leave the province during the 1800s? What was so appealing about the Prairie Provinces? 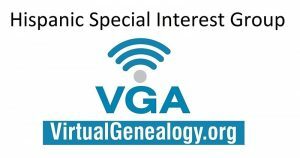 The Virtual Genealogical Society has a SIG (Special Interest Group) focusing on Hispanic research. Our discussion topic for February 2019 is search and documentation strategies for Hispanic names. How do you know if the facts you’ve uncovered are correct? How do you avoid attaching somebody else’s ancestors to your family tree? Lost in a sea of digital files and paper? Can’t find the records you know you have? Need a better way to organize your research? 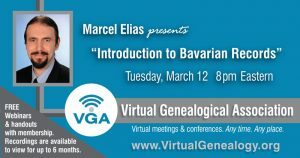 An introduction to basic church and civil records available from Bavaria for all denominations (Catholic, Lutheran, Jewish), as well as where they could be found (online or in archives). 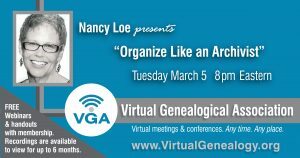 This lecture will look at the history of genealogical societies, discuss the "Top 10" reasons to join a society, and discuss the three societies every family historian needs to join. 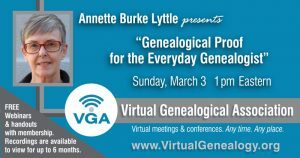 The Virtual Genealogical Society has a SIG (Special Interest Group) focusing on Hispanic research. Our discussion topic for context behind Mexican civil registrations. 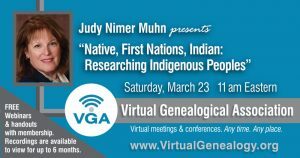 The first residents of North America can be challenges to research, as oral history, stories are foundational. Learn to use geography, tribal resources, historic records. 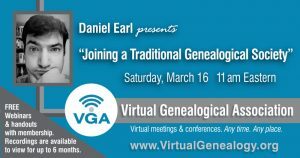 The Virtual Genealogical Society has a SIG (Special Interest Group) focusing on Hispanic research. Our discussion topic for April 2019 is search strategies for civil registrations. “Recipes, Reminiscing and Reunions” presented by Megan Heyl, M.Ed.